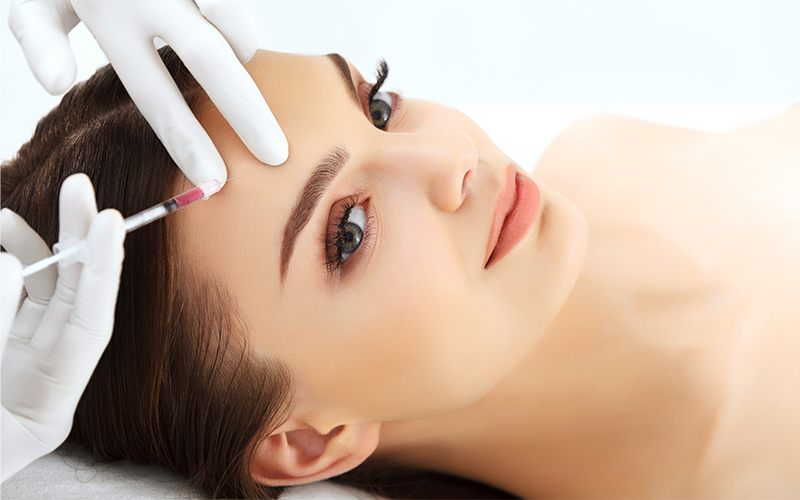 If you’ve been considering injectables to help your skin look great, you may have heard about Botox and Juvederm. They’re both great options, but which is right for you? Today, we’ll talk about the differences and benefits of each. Botox reduces facial lines. It works by temporarily affecting muscle movements that cause those lines to appear. Your skin is left smooth and younger looking, which will leave you feeling confident. Botox is FDA approved for improving moderate to severe lines on your mouth, forehead, and near your eyes. If you have crows-feet lines near your eyes, frown lines near your mouth, or lines on the forehead, Botox may be a good option for you. It’s affordable, starting at $12 per unit, and it’s a quick and safe treatment that takes about ten minutes. The results from your Botox treatments will last for about three to six months. Our med spa professional will assess your individual needs to determine which treatment is right for you. Juvéderm treatments start at $500 per syringe. Treatment time varies by individual, and the results can last one to two years. To find out if Botox or Juvéderm are the right treatments for you, make an appointment for a consultation today at The Glam Room. Our well-trained, experienced med spa professionals will consult with you about the best way to reduce lines and wrinkles for your individual needs. Our med spa treatments are available on Fridays! Find us at 308 Delaware Street in Kansas City or call 816-605-1949to book an appointment. To manage appointments instantly from anywhere, try our mobile app, available for a free download on iTunes, Google Play, or Amazon. Will you be sporting Balayage or Ombre as your New Year New Look? Beautiful Skin is Just 6 Easy Steps Away! Skip the Botox! Use liner and lipstick to create the illusion of your ideal lip shape! Glo Beauty Line Now At The Glam Room! Designed by Webappclouds | Developed by SalonCloudsPlus.